Electric Youth 2019 will debut at THE BLACK BOX on January 5 with two shows at 6:30 and 8:30 PM. 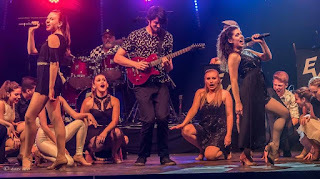 The 2019 group of talented young singers and dancers includes Laney Dragsbaek, Hayley Driscoll, Tatiana McAlpine, Kelly McCormick, Emma Nicholson, Hannah Rezendes, Madison Rezendes, and Lindsey Wyner of Franklin, Susauna Wickstrom of Wrentham, Griffin Wilkins and Caroline Wilkins of Walpole, and Cassidy Baratta and Kelsey Breslin of Hopkinton. 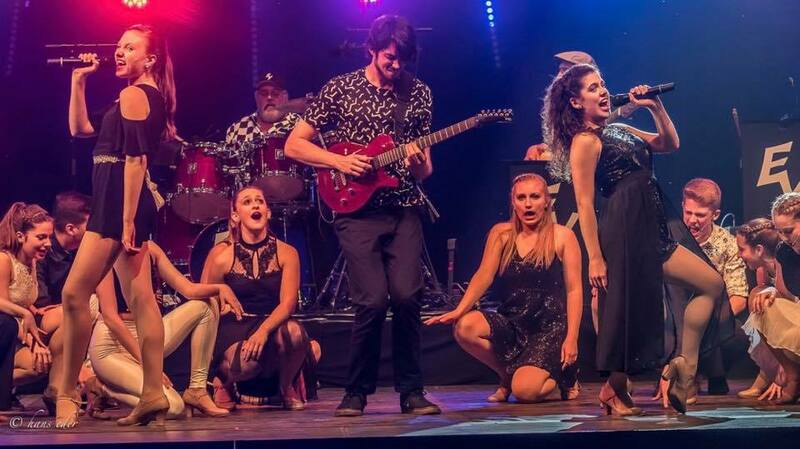 Electric Youth delivers high-energy, fully choreographed performances of classic rock, contemporary pop, Broadway, and country hits for audiences of all ages. The American touring ensemble of talented singer-dancers, ages 14-18, is backed by the eight-piece Boston Show Band — world class musicians who’ve worked with music legends Tony Bennett, Aretha Franklin, Dizzy Gillespie, B.B. King, Diana Ross, The Temptations, Van Morrison and more. Electric Youth is trained at the Franklin School for the Performing Arts. The group has toured Europe 15 times, performing in such renowned venues as Vienna’s Konzerthaus, Musikverein and Schonbrunn Palace; Sanremo’s Ariston Theatre; England’s Arundel Festival; Disneyland Paris; and professional theatres in Bristol, London and Windsor. EY has also headlined Fourth of July shows for U.S. troops stationed in Italy at Camp Ederle, Camp Darby, and Aviano Air Force Base. The ensemble has performed on Royal Caribbean’s Oasis of the Seas, on Fox-TV and WBZ Radio, and at Fenway Park, Gillette Stadium, the Smithsonian Museum Theater, the United Nations and the U.S. Embassy in Vienna. Electric Youth has released six albums, including 2014’s Power Chord, available on iTunes. This summer, they will tour France, Italy, the U.K., and Switzerland. Collectively, the members of Electric Youth 2019 have performed with Broadway stars, sung the National Anthem for Boston sports teams, been selected to perform at “Broadway Sessions” in NYC, won national gymnastics titles, worked with choreographers from So You Think You Can Dance, performed on televised dance specials, and more. Alumni of Electric Youth have gone on to appear on Broadway, in national and international tours, television, regional theater, feature film, professional dance companies, cruise ships, and more. Tickets for the January 5 Debut shows are available at www.theblackboxonline.com or by calling the box office at 508-528-3370.